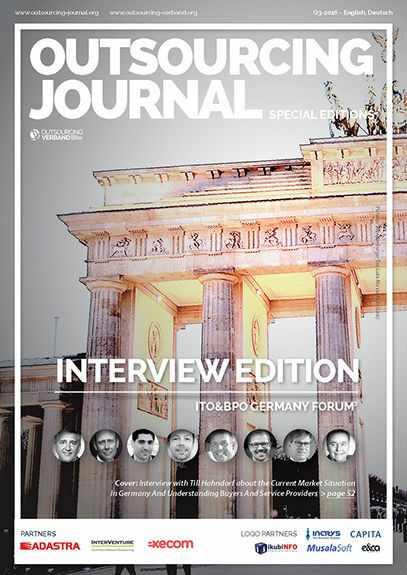 For this issue of The Outsourcing Journal Special Editions we have interviewed leading practitioners and experienced consultants about IT sourcing and the current market conditions in Germany and globally. 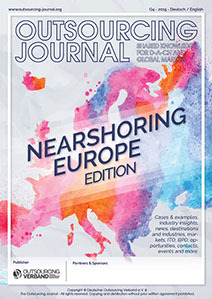 We share first hand insights into the work of service providers as well as into the financial service industry, talk about costs, project management, the arrival of new global IT and BPO services providers in our markets and emerging destinations. 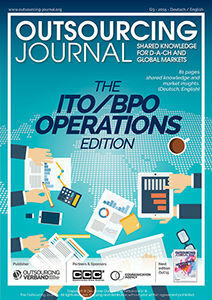 With a unique editorial concept the Outsourcing Journal Special Edition is today the only publication for the ITO and BPO industry that is based on non-promotional information, actual business experiences and researches.